Dixons Carphone Group was created in 2014 from the merger of rival electronics retailers Dixons Retail and Carphone Warehouse. Dixons has long held a leading position in the UK as its most influential champion of mass-market electronics. For more than 50 years until 2005, the chain served as the principal gateway into British homes for the introduction of cameras, audio equipment, computers and more recently the internet and DVDs. However the main brand within what was then Dixons Stores Group was increasingly overshadowed by sister chains Currys and PC World, and also by a push into Europe. Those developments prompted a change of corporate name to DSG International in 2005, as well as a phasing out of the original Dixons brand in favour of Currys. The DSG name, however, failed to chime with customers, and the group eventually changed its name back to Dixons Retail Group in 2010. The combined Currys PC World business is still the UK's biggest bricks and mortar electronics retailer by some margin. However mainland Europe has proved much more challenging, and most businesses outside Scandinavia had been divested or closed by 2014. That year, the group agreed terms for a merger with mobile phone seller Carphone Warehouse to create a giant new group with revenues over £12bn a year. However, performance has come under intense pressure since then, especially in 2017, from Amazon and other online retailers, forcing the closure of several outlets in the UK. Alex Baldock succeeded Sebastian James as chief executive in 2018. Revenues for the year to 2017 were £10.6bn. Which agencies handle advertising for Dixons Retail? Find out more from Adbrands Account Assignments. Adbrands Social Media 2nd Nov 2018: "Christmas Upgraded". 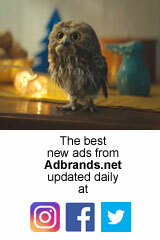 It's been a busy few weeks on the Christmas front at AMV BBDO, which also issued its debut campaign for Asda this week. This ad, though, is for electronics retailer Curry's PC World. Actually, it's actually probably the best of the early British Yuletide releases. Taking that old Victorian Christmas chestnut and upgrading it with today's technology actually makes for several good gags. Best laugh is probably the big screen footie down the pub circa 1895, but Google the Butler comes close behind. Right, I think that's enough Christmas ads for one day. And possibly even for one year as well. Bah! Humbug! Adbrands Weekly Update 30th Jun 2016: UK-based electronics retailer Dixons Carphone reported solid performance for the year to April. Pretax profits jumped 17% to £447m, despite a marginal decline in revenues to £9.74bn as a result of currencies. The company said it enjoyed the best trading day in its history on last year's "Black Friday" pre-Christmas shopping festival, including an average of five online purchases per second as a result of promotional discounts. CEO Seb James said the group had taken steps to hedge against the effects of Britain's exit from the EU, but told the BBC "It's going to be very important that we do everything in our power to remain in the single market." Adbrands Weekly Update 2nd July 2015: UK electronics retailer Dixons Carphone is to make a bold push into the US in a partnership with Sprint to open and run an initial 20 mobile retail stores. If the first wave of openings goes well, the partnership could be extended to as many as 500 outlets. Carphone Warehouse is no stranger to the US market. In the 2000s it managed the mobile counters of local big box electronics retailer Best Buy. That extremely successful partnership ended in 2011 after the failure of a similar joint venture in Europe. Adbrands Weekly Update 12th Mar 2015: Google opened its first physical retail outlet this week in the UK in the flagship Currys PC World store in London's Tottenham Court Road. The Google Shop, as it is billed, sells a range of devices including Android phones, Chromebook laptops and Chromecast TV streamers, and also promotes Google's various apps and online services. Currys PC World already operates "Chromezone" concessions in several stores but this is the first time one has been specifically branded to Google. Google UK marketing director James Elias said "We want to offer people a place where they can play, experiment and learn about all of what Google has to offer; from an incredible range of devices to a totally-connected, seamless online life. We think it's a genuinely unique try-before-you-buy experience."